Custom engraved pet tags can be made in-store while you shop. Tags are available in a variety of shapes, materials and colors. All tags are $5.00. Want to save time? 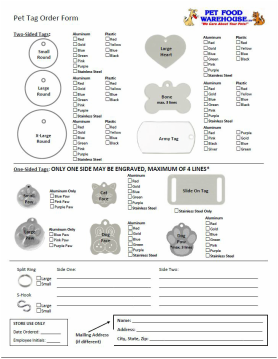 Download the Pet Tag Order Form before you come in to shop!